Lite 98.7 is giving you the chance to be "Mayer for a Night." It's our contest to send you to see John Mayer at the Lakeview Amphitheater in Syracuse, and enjoy a dinner on us. How would you like to own a high-end, luxury designer handbag stuffed with all sorts of goodies? We can't imagine making it through the summer without these outdoorsy amenities; yours for the taking inside the LiteHouse VIP club. If you've always wanted to throw movie parties at your home, now's your chance. "It's All About Mom" this Mother's Day because she's amazing, and we've got 4 showcases to choose from. Today is National Inconvenience Yourself Day and the ideal day to "Spread the Lovin'." Lite 98.7 has partnered with McDonald's in sharing our Random Acts of Kindness. The world famous Harlem Globetrotters are returning to Utica on Februrary 6th, and Lite 98.7 is giving away tickets. Adele tickets seem to be in high demand as of late, and the good news is Lite 98.7 has your chance to fly away and see her live. 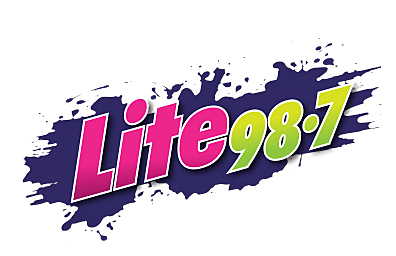 Lite 98.7 is always giving away awesome prizes and some of our best ones can only be won by joining our exclusive "LiteHouse Club." Here a few reasons you should sign up today! I've heard nothing but amazing things about TSO's live concerts. Lite 98.7 wants to give you tickets, but if you wanna go to the show, time is ticking! Just Jen and I decided to engage in a pasta eating contest at Cavallo's in New Hartford. In the end, the drinking water won.